When customers call your Peru virtual number, their calls will be routed to your destination number which could be located anywhere in the world. If you’re headed to Peru, whether for business, pleasure, or to get an education, consider ordering Peru virtual numbers as a means of communicating internationally. Peru virtual numbers are a special type of international phone number that allow you to dial a local phone number that rings to a phone located somewhere else in the world. Why Use a Virtual Number in Peru? There are several advantages of using a Peru virtual number over dialing international numbers directly. For example, you don’t need to dial Peru’s exit code or the international country code for the country you are calling. Simply dial the local phone number and let the virtual phone service forward your call to the intended phone number. If you’re the account holder of the virtual phone number in Peru, you can also switch the “ring to” number as needed. This allows you to dial a local number in Peru to make cheap international phone calls. Another advantage is that when you use a Peru virtual phone number, you get access to highly competitive rates and a crystal clear telecommunications network. Rather than using your hotel’s phone service and paying outrageous per minute fees, you can bypass the hotel’s system complete and get much better per minute international calling rates. Stay in touch with loved ones back home — If you’re a parent whose child is spending a semester studying in Peru, you could order a toll free virtual number in Peru for your student to use to call home. Simply set up the ring to number to your home phone number and have your child call you any time toll free. From your child’s perspective, calling home is free and easy. Provide Peruvian business associates and other contacts with a toll free means of reaching you — Peruvian virtual numbers are commonly used for conducting international business. While you’re in Peru meeting with contacts, set up your virtual phone number so that it rings to your mobile phone, local branch office phone, or hotel phone. Once you leave the country, change the ring to number to your main number back home. Your local contacts in Peru will then be able to reach you using the same exact phone number, which is local to them, even if you are located in another country. They do not need to learn a new phone number or remember to dial international country codes. 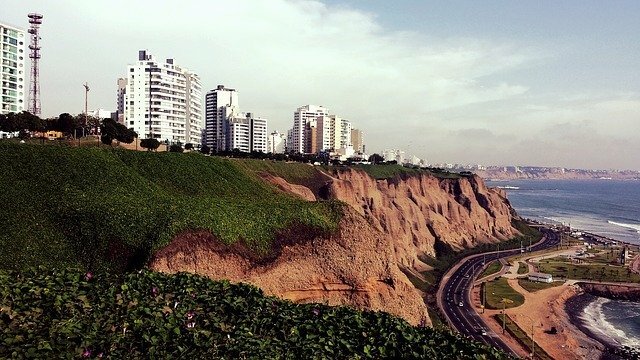 Set up a local presence in Peru — Another common use for a virtual Peru phone number is to establish a business presence in the country. 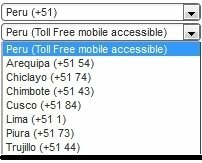 You can choose either a toll free virtual number or pick a national virtual number for a city such as Lima, Cusco, or Arequipa and other available Peru city numbers. In your marketing materials, these virtual Peru numbers will help your business to appear as though it has an office in Peru. Meanwhile, when customers call the Peru virtual number, their calls will be routed to your destination number which could be located anywhere in the world. How will you use your Peru virtual phone number? Share your own use case with us on Facebook.